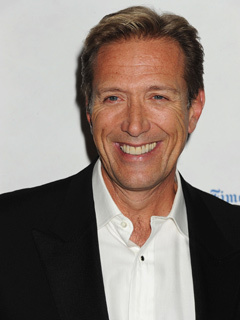 Walt Willey landed his first contract with AMC as Jackson in 1987 after deciding at the age of 30 to pursue his dream of a show business career. He now splits his time between New York, where the show tapes, and New Mexico, where he and his wife own and operate a bed-and-breakfast called Crystal Mesa Farm. In addition to his frequent stand-up comedy appearances across the country, the actor is an accomplished cartoonist whose work has appeared in Soap Opera Weekly, among other publications. A practicing Buddhist, Willey founded the WilleyWorld Endowment Fund, which gifts children's charities and services. His official Web site is www.willeyworld.com. Was parodied by the late Phil Hartman on SATURDAY NIGHT LIVE. Was in contention for the job hosting the syndicated version of WHO WANTS TO BE A MILLIONAIRE? Majored in sculpture at Southern Illinois University. Earned the on-set nickname Big Daddy from Kelly Ripa (ex-Hayley, AMC). He is a skilled painter and illustrator. At the first night of the Tribute To Pine Valley tour held at Town Hall in New York City on October 25, Prospect Park's plans to relaunch AMC on the Internet was a hot topic of discussion among the stars present. AMC's Walt Willey: "We Have Our First Proposal"
Walt Willey (Jack, AMC), who is in Chicago doing a comedy appearance, updates Soap Opera Digest on Prospect Park's efforts to bring AMC and OLTL to the Internet. We spoke with Walt Willey (Jack, ALL MY CHILDREN) in the middle of one of many New York winter storms this January. But guess what? It was no different out west. And that got Willey thinking about his pet project and the warmer weather. When Digest sat down to interview Walt Willey (Jack) on the occasion of his 20th anniversary on AMC, he shared memories of many of the colleagues past and present who've shaped his Pine Valley experience.